The U.S. tax system is quite complex. From thousands of rules and regulations to nuanced and obscure provisions, our tax system can make even the sharpest tax professionals feel overwhelmed at times. Luckily for you, the amount of tax knowledge you need to have to achieve financial independence (FI) is very manageable. I have seen people of all professions, not just accountants, acquire and apply tax knowledge to successfully increase their wealth and their freedom. Before we dive in, note that we will be covering the U.S. federal income tax system for individuals. The state you live in will have its own tax system, generally similar to the federal system, and usually with lower tax rates. Because covering every state individually would turn this post into an entire PhD program, and because the federal system is the base to understanding the states we will not worry about state income taxes for now. From January 1 to December 31 of year 01, you earn income in a variety of ways (employment, investments, royalties, etc.). You are supposed to pay taxes on that income as you earn it. If you are traditionally employed, you pay estimated taxes each time you get paid. If you look at your paycheck there will be a line there that says something like “federal taxes withheld”. If you are self employed or derive your income from investments, you are responsible for making quarterly estimated payments to the IRS. If your payments are greater than your liability, you will get a refund. In other words, you paid too much during the year, effectively giving uncle Sam an interest free loan that he pays back to you when you file your tax return. If your liability is greater than your payments, you will owe the difference. There might be penalties on top of the tax you owe if you are underpaid by a large amount. If you follow that, you have mastered the basic tax time line. Not too bad, right? By April 15 of year 03 you will again file a tax return for year 02 and keep repeating this process throughout the years. *Note that this is a 2017 form. The 2018 form is not available yet as of this writing. As you may be aware, The Tax Cuts and Jobs Act (TCJA) was signed into law in December of 2017. The TCJA brings about the most significant tax reform since 1986. This means the 2018 1040 form will probably be somewhat different from what you see above. Don’t worry, the basic structure of the U.S. tax system can still be understood by examining the 2017 form. Also, I will highlight some of the most relevant changes that the TCJA brings to the table as we walk through the form. 1. Marginal Tax Rate (MTR): this is the tax rate at which each additional dollar Max earns will be taxed, until he reaches the next bracket when his income goes above $82,500. In this case Max’s MTR is 22%. Knowing your MTR can be useful for making decisions. Imagine Max learns he can earn about $10 per hour driving for Uber. Knowing that he already has a base salary of $50,000 as a chef, each hour he works as an Uber driver earns him $7.8 net of tax (10 * (1-0.22)). Knowing his after tax earnings Max can make a better decision on whether or not the Uber gig is worth his time or not. 2. Effective Tax Rate (ETR): ETR is calculated as follows: (ETR = total tax liability / taxable income). So Max’s ETR = 6,912.5 / 50,000 = 13.82%. As you can see, Max’s ETR does not equal his tax bracket. The ETR is usually the percentage you hear on news headlines that read something like “John Smith millionaire is only paying 10% taxes!“. Part of the reason people who earn millions of dollars sometimes pay seemingly low income taxes is because even a millionaire will have some of his earnings taxed at the lowest tax brackets. The other common reason is that not all income is taxed at the same rates. The tax brackets you see above apply mainly to earned income (income derived from a job), and short-term capital gains, to mention just a few. On the other hand, long-term capital gains and qualified dividends are taxed at lower rates, but more on that later. The next section of form 1040 we will explore are the exemptions. This is one section that will probably look different in the 2018 1040 form. As part of tax reform, the personal exemptions were eliminated. For year 2017 and prior years, you could deduct about $4,000 for you, your spouse, and any dependents you had. For example, my 2017 tax return had $12,150 worth of exemptions (1 for me, 1 for my wife, 1 for my daughter, each worth $4,050 in 2017). No need to spend too much time here since the exemptions no longer apply. Moving on to the income section (line 7 through line 22) – As I mentioned at the beginning, uncle Sam is going to want a piece of virtually all of your income. The lines here are pretty self-explanatory. For example, if you have a regular job, you will see your wages on line 7. Likewise, if you own stocks and bonds outside of a tax-advantaged account, you will see interest and dividends come through on lines 8 and 9 respectively. If your tax situation is very simple, your tax return will only include form 1040. However, as the complexity of your tax return increases so does the number of pages in your tax return. For example, if you own a business as a sole proprietor, you will likely fill out a Schedule C to report all of the income and deductions from your business. Your net income will then make its way to line 12 of your form 1040. Another example is real estate. If you own rental properties, you will likely need to fill out Schedule E to report your rental income and expenses. Once again, the net taxable income will then flow to form 1040, line 17. 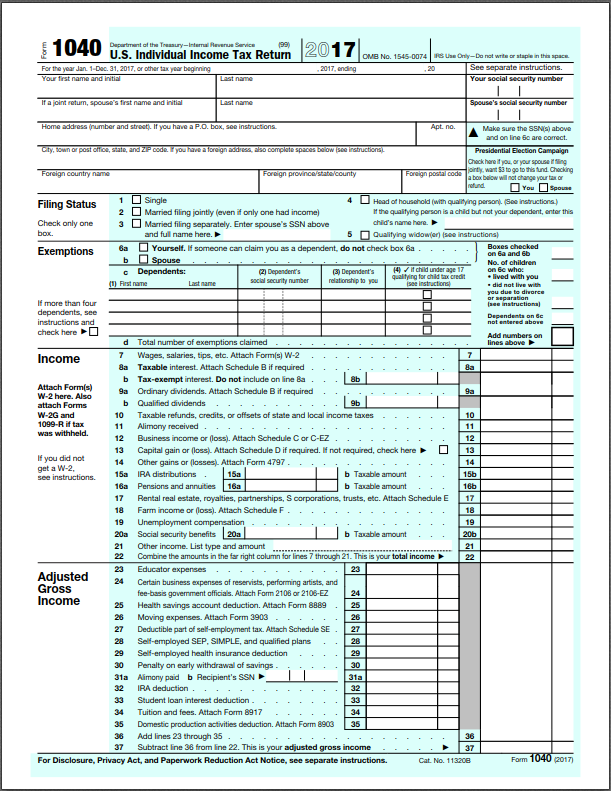 As you can see, form 1040 is basically a summary form, with other forms and schedules acting as support when needed. This concept of having supporting forms does not only apply to the income section. Just take a quick peek down the 1040 form, and you will see other lines that require a supporting form or schedule. Fun fact: my own 2017 tax return is 7 pages long (2 for form 1040, and 5 of supporting forms and schedules). Not very complex as most of our income comes from traditional employment. On the other end of the spectrum, one of the most complex tax returns I have ever prepared was over 600 pages! 1. Once we get to AGI, we are halfway through Form 1040. So we can say opportunities to minimize taxable income and thus tax liability are halfway gone. In other words, less AGI = less taxable income = less tax liability = more money in your pocket. Savers credit: this is a tax credit for people who contribute to their retirement accounts. If you are married and file a joint return, you are only eligible for this credit if your AGI is below $60,000. Student loan interest credit: this is a tax credit for people who are paying student loan interest. You can only take advantage of this credit if your MAGI is below $65,000 (for single tax payers). Affordable Care Act (ACA) Subsidies: your MAGI plays a role into how much of a subsidy you can get on your health insurance through the Affordable Care Act. The ACA subsidies are a complex beast. My friend Justin is an early retiree who pays nearly zero for his Family’s health insurance thanks to his understanding of the rules and knowing how to control his MAGI. I recommend this post from his website if you want to learn more about ACA subsidies. As you know by now your AGI is a specific tax concept, which does not necessarily equal your income. Therefore, regardless of what your income is, there are things you can do to lower your AGI. We will cover some of the most common ones next. *To calculate your modified adjusted gross income (MAGI), take your AGI and add back certain deductions. Many of these deductions are rare, so it’s possible your AGI and MAGI can be identical. We won’t go into details here as we are just trying to understand big picture concepts. 401(k), 457, 403(b): these accounts are typically offered by employers to their employees to help them save for retirement. Contributions are usually made via payroll deductions. Let’s use the following example to understand how contributing to these accounts lowers your AGI. Assume you make $50,000 per year and your employer offers a 401(k) plan. 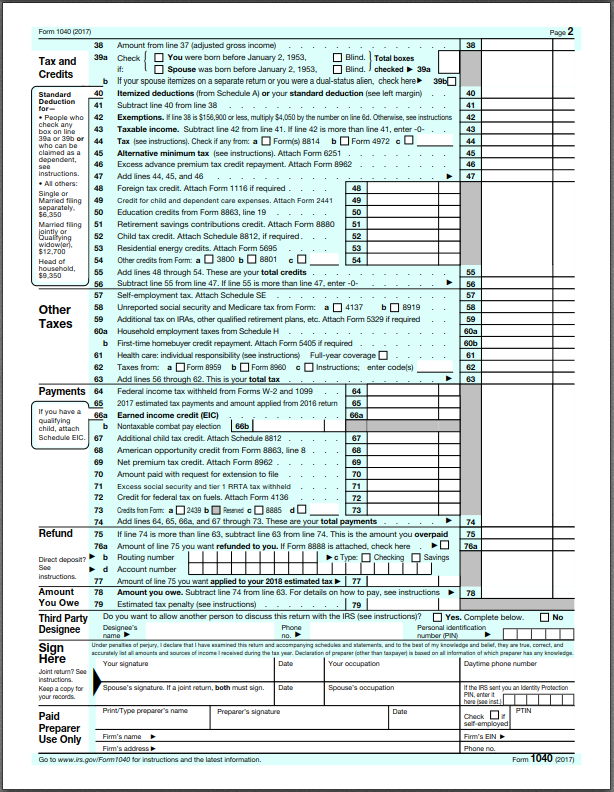 If you do nothing, you will see $50,000 on line 7 of your form 1040. 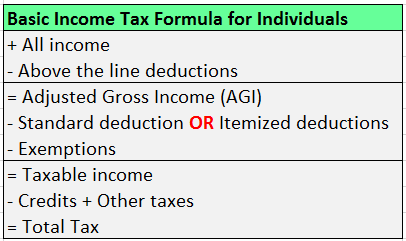 Assuming you have no other income or AGI adjustments, your AGI (line 37) will also be $50,000. However, If you contribute 18,500 (the most you can contribute in 2018), line 7 as well as your AGI will be $31,500 (50,000 – 18,500). That is $18,500 on which you don’t have to pay taxes on the current year! The money you contribute is eventually taxable when you pull it out of the account (a.k.a. taxation of distributions). Also, there might also be penalties if you withdraw the money before you turn 59.5 years old. Don’t worry, there are advanced strategies to avoid penalties for early withdrawal as well as taxation of distributions. This article is great place to start exploring those strategies. Individual Retirement Account (IRA): IRAs work very much like the accounts we just covered above. One of the main differences is that you don’t need a traditional employer to have access to an IRA. Anyone who has earned income can open and contribute to an IRA. The IRA contribution limit for 2018 is $5,500. Deductible IRA contributions show up in line 32 of form 1040 and reduce your AGI (line 37). Health Savings Account (HSA) contributions: HSAs are a unique type of tax-advantaged medical savings account available to taxpayers who are enrolled in a high-deductible health plan (HDHP). The funds contributed to an account are not subject to federal income tax at the time of deposit. The contribution limits for 2018 are $3,450 and $6,900 for individuals and families, respectively. You will see HSA contributions on line 25 of form 1040. There are a few unique and cool features of HSA accounts. You can read more about HSAs here. Flexible Spending Account (FSA) contributions: an FSA is another type of tax advantaged account commonly offered by traditional employers. Note that FSAs are designated for different purposes such as health, or dependent care. For example, you cannot, in the same year, contribute to a health FSA and an HSA since both of these are health type accounts. However, you can contribute to an HSA and a dependent care FSA in the same year. Yours truly is doing just that in 2018. We pay for daycare out of pocket while contributing to a dependent care FSA. Once the account is full, we can re-reimburse ourselves from the FSA. Contributions to our FSA are made via payroll deductions, and the $5,000 (2018 limit for married taxpayers) we contribute does not show up on line 7 of the form 1040. Very much like 401(k) contributions. Note that unlike the above accounts, FSAs are use it or lose it. So make sure that whatever money you put into an FSA is money you will actually spend in the current year. Buy a rental property or start a business: please don’t do this solely for tax reasons. There are many other factors you need to consider (e.g. overall return on investment, risk tolerance, lifestyle, etc.). However, if being a business owner and/or landlord is something you aspire to, it may come with some nice tax benefits. As I mentioned above, net income from rental properties and businesses come through on lines 17 and 12 of form 1040. Because it is NET income we are talking about, you have already taken deductions at the business level, thus reducing your AGI. The specifics of real estate and business taxation are complex and lengthy so we won’t go into the details here, but I will give you one simplified example so you can see what this might look like for you. It is not uncommon to see rental properties that have positive cash flow but an overall taxable loss. This seemingly contradicting scenario is possible because tax accounting does not equal cash accounting. Depreciation is one good example as it is a tax deduction you can take on a rental property, but it is not truly a cash outflow. So again, you can end up with more cash in the bank and with a taxable loss. If this is the case, you will see such taxable loss on line 17 of form 1040*. *The amount of rental real estate loss you can take on your individual tax return will depend on your level of involvement with the real estate activity and on your AGI so this strategy does not work for everybody. Consult with a tax professional as needed. Congratulations! If you are still with me, we have made it through all of page 1 of the 1040 form, and you probably know more about our tax system than 80% of your fellow Americans. Stay with me, page 2 will be easier. As you can see, page 2 picks up right where page 1 finished, with AGI (see line 38). Line 39 is used to determine how big your standard deduction is. A standard deduction can be claimed by just about anyone, with a few rare exceptions. 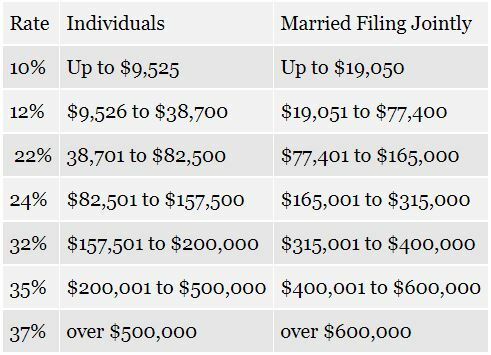 For 2017, the standard deduction is $6,350 for single tax payers and $12,700 for married taxpayers filing a joint return. As line 39 hints, your standard deduction is a little bigger if you are over 65 years old and/or blind. The standard deduction is something that is changing with the TCJA. In 2018 the standard deduction is $12,000 for single tax payers and $24,000 for married taxpayers filing a joint return. 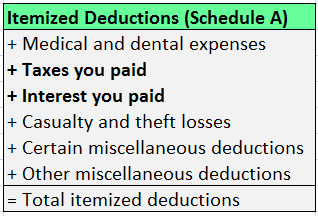 I have another article that goes through the itemized deductions in a little more detail. Here I’ll just say that many itemized deductions are limited and you are not always able to deduct an amount equal to your actual cash expense. Medical expenses is a good example of this. You can only deduct medical and dental expenses in excess of 10% of your AGI. In other words, if your AGI is $50,000 and you had medical expenses of $6,000, only $1,000 are potentially deductible. 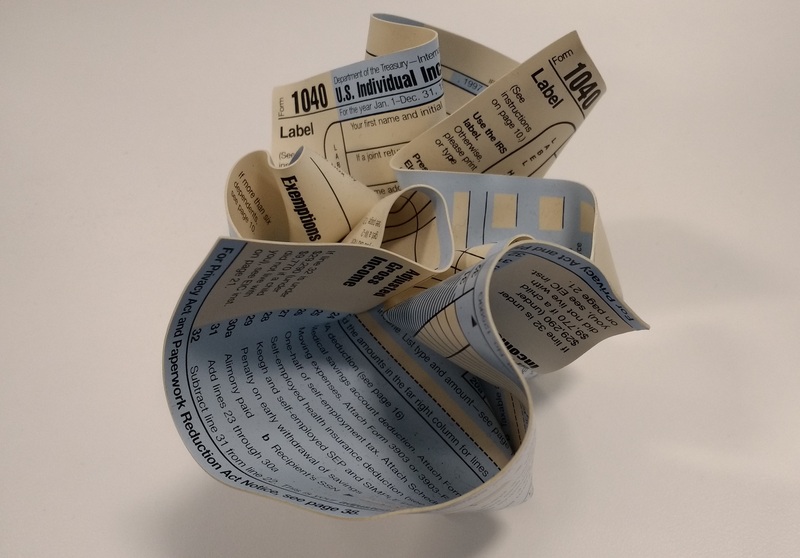 The bottom line is you are unlikely to get any tax benefits out of your medical bills unless you have a very low AGI and/or you had major medical bills during the tax year. Many itemized deductions have similar restrictions. Side note: this is another example of why a low AGI is a good thing. Lower AGI = more ability to potentially deduct medical expenses. So what are itemized deductions good for? Things like state taxes, property taxes, and mortgage interest are examples of itemized deductions that taxpayers have been generally able to claim as they are not as restricted as medical expenses. This was especially true for 2017 and years prior when the standard deduction was not so large. So it wasn’t rare for the sum of all itemized deductions to exceed the standard deduction. As covered above, tax reform nearly doubled the standard deduction for most taxpayers AND put even further limits on itemized deductions. The combination of these two factors means that most taxpayers will be simply taking the standard deduction in 2018 and beyond. 2018 Preferential Rate Tax Brackets. Image courtesy of the Motley Fool. From the previous example, Max’s old tax liability when all his income came from a regular job was $6,912.5. As you can see this is a big difference. Since many people who have achieved FI derive a large portion of their income from qualified dividends and LTCG, their overall tax liability is usually pretty low. Once you determine your taxable income and the sources of that income, you can calculate Tax (line 43). Think of this number as a subtotal, because you may still qualify for some credits such as the child tax credit, or the foreign tax credit to name a few. On the other hand, you can be on the hook for other taxes. These include penalties for early withdrawals from retirement accounts, penalties for not having health coverage, and others. You can see all of these on line 45 through line 62. After subtracting credits and adding other taxes you finally arrive at the total tax (line 63), also known as tax liability. From there you determine what you have already paid in taxes (line 64 through 73). These payments can include additional credits, withholding, or estimated tax payments. As we covered on the Tax Timeline section, people who are traditionally employed get federal tax withholding with every paycheck (line 64). Self-employed individuals are responsible for making their own estimated tax payments (line 65). If your payments are greater than your liability, you will get a refund (line 76a). In other words, you paid too much during the year, effectively giving uncle Sam an interest free loan that he pays back to you when you file your tax return. If your liability is greater than your payments, you will owe the difference (line 78). There might be penalties on top of the tax you owe if you are underpaid by a large amount (line 79). For most people who lack knowledge of the U.S. tax system, getting a refund when they file their taxes feels nice. – “I just got some money from the government, yeahhh!”. But you know better, a refund means you are getting YOUR OWN MONEY back, without interest. So not so nice. Ideally, you will want as large of a payment due without incurring underpayment penalties. This way the government is the one giving you an interest free loan while you invest and grow that money. Remember that the exemptions will no longer apply for 2018 and beyond, and that the standard deduction nearly doubled due to tax reform. Additionally, tax reform is further limiting the itemized deductions, which means very few people will itemize deductions going forward. Congratulations on making it all the way to the end! I know first hand how complex and frustrating our tax system can be sometimes. It may take reading this article a couple of times before some of the concepts truly sink in. But I assure you, if you made it all the way here, you are well above the average American on tax knowledge. You can now continue to build on this knowledge and turning it into action. Whether that means asking better questions to your CPA, preparing your own return, maxing out your pre-tax accounts, or a combination of those. Taking action can easily save you tens of thousands and probably even more over the years. Disclaimer: for the sake of brevity, some tax rules have been oversimplified and/or omitted. Financeclever.com does not guarantee the accuracy, completeness, or relevance of the information contained herein. None of the above free information constitutes professional tax or financial advice. Do your own research and consult with professionals as needed. I understand the concept of lowering your taxable income by maximizing your contributions to retirement accounts as it is frequently talked about in the FIRE world. But I didn’t realize how the tax brackets actually work! Great analysis for employees subject to a W-2. You’ve captured the best options to minimize taxes and maximize retirement savings options. My own transformation has been to business owner where there is much greater flexibility in managing expenses to my benefit. Love to see a similar analysis with this amount of detail for entrepreneurs. Wow, this is really comprehensive! Even for someone as obtuse to legalese as myself, this makes it feel like I have a chance at understanding taxes. A small chance, but I think at least I could get the simple stuff now. Thanks for stopping by, Captain DIY! Glad you found it useful. Unfortunately, tax rules aren’t usually intuitive or straight forward. All that to say, you are not alone, some of this stuff confuses me from time to time. Stick to it, re-read as necessary and you might just surprise yourself. We absolutely love your blog and find the majority of your post’s to be what precisely I’m looking for. Would you offer guest writers to write content for you personally? I wouldn’t mind composing a post or elaborating on some of the subjects you write in relation to here. Again, awesome blog!